I began interning at RIJ in January 2018. During my internship I was able to take on a variety of roles and responsibilities. Before RIJ, I had no experience of working in an office or with using English. I was inexperienced and nervous about my work every day. However, everyone at RIJ was really welcoming and helped me feel more comfortable with working in the office and speaking English. When I was studying in Germany, I found the solution to refugee issues to be difficult and I became interested in understanding why people continue to be ignorant of these problems, and how their interest could be stimulated. In my time as an intern, I was able to get involved in many activities, like writing Japanese press releases, posting to social media sites in both English and Japanese, and analyzing the online payment/donation system. I did a lot of research, and I was even able to find free websites for posting press releases. Although during my internship, the press releases had no direct effect on RIJ activities I hope that it will result in more donations in the future. It was the first time for me to be in charge of an entity’s social media, so I felt a lot of responsibility when I posted both in English and Japanese, carefully considering who would read a post, and how it could add value to readers. I used not only RIJ’s official social media like Facebook, but also other event information sites to reach people who do not care about refugee issues. Analyzing the online donation system was also a new experience for me and it was challenging during the early phase. Reaching an agreement between payment companies and an NPO was probably the most difficult task I undertook during my internship. It was interesting to be involved in the administration of an NPO. I learned a lot from my coworkers at RIJ. In volunteer meetings for example, Jane often said that we should think about what we can do rather than about what we cannot. During the internship, I sometimes became frustrated with how many things I was not able to do. I recalled these words often when I faced a problem, and I will continue to do so in my new job. 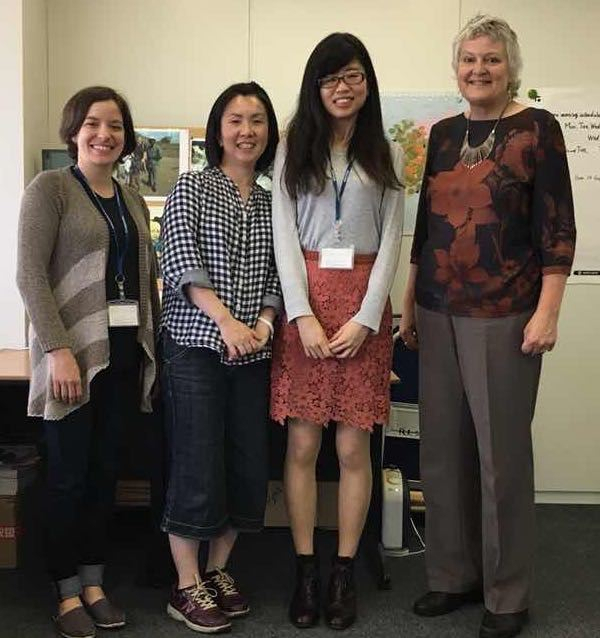 Naomi and Nanae not only taught me a lot about RIJ but I also learnt the challenges for working mothers. They helped me when I was dealing with something unfamiliar, or when I was thinking about my future. Volunteers in RIJ come from many different backgrounds, and they told me fascinating stories. I am thankful for my experience at RIJ and I am happy that I could increase my knowledge about the NPO operations. Thank you all for your time and kindness. I hope I can work with you one day in the future!